Notes: Château d'Engayresque is a castle located in the municipality of Sévérac-le-Château near the village of Novis in the Aveyron department. 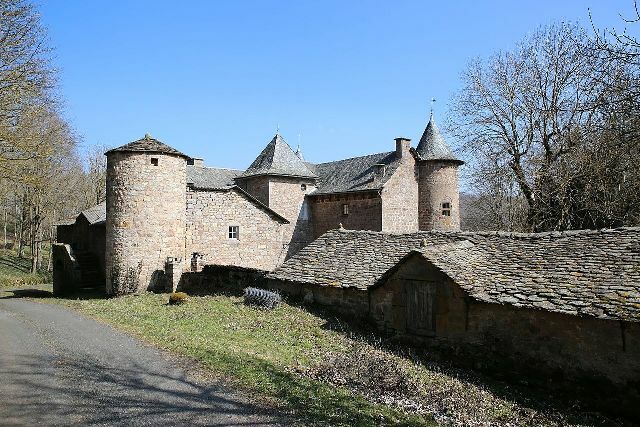 The castle is located in the municipality of Sévérac-le-Château near the village of Novis in the Aveyron department. It is hidden in a depression, out of sight. The main building, consisting of a beautiful facade with her two towers, is exposed to the east, facing the forest. At the rear, the adjacent farm to the main building, has formed a small courtyard facing south. The first illustrates lord who lived the masonry was John Hugeneau the fifteenth century. The castle was later bought by the Talon family, industrial Saint-Geniez Olt. In 1870, the entire mansion was raised. The building was listed as historical monuments in 1991. Thus, this beautiful land has remained in the family. Castle Engayresque was also filming location for horror movies. This is "The House of the bad dream" (shot in 2014-2015) and a new film being prepared by the same crew.